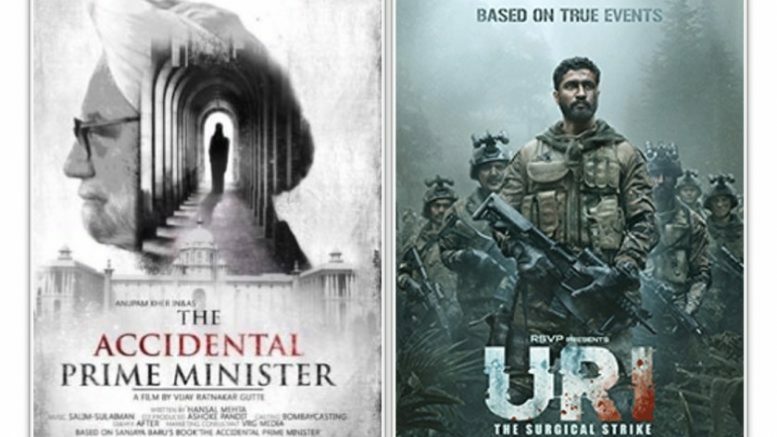 I faced a challenging question last weekend on Facebook when someone remarked that ‘The Accidental Prime Minister’ and ‘Uri: The Surgical Strike’ two Bollywood movies just released, were considered as political propaganda while ‘Sanju’ the controversial biopic on convicted filmstar Sanjay Dutt was not. My reply was that the latter could be called ‘spin’ but not ‘propaganda’ because typically, propaganda is about something that promotes a political party or institution while ‘spin’ is something that is done to whitewash or gloss over some hard truth — such as the fact that while Sanjay Dutt may have faced difficult situations that evoke empathy, the fact is that he had abused drugs and was also convicted of illegally possessing arms. Sanjay Dutt is from a marginal political family but he is not a politician himself and hence his iffy biopic is better described as a work of spin doctoring. There is also a new challenge following the release of the two movies in an election year. Both are essentially in the category of “faction” (fact-based-fiction) in which there are private narratives being produced with detailed imagery and perspective for public viewing. 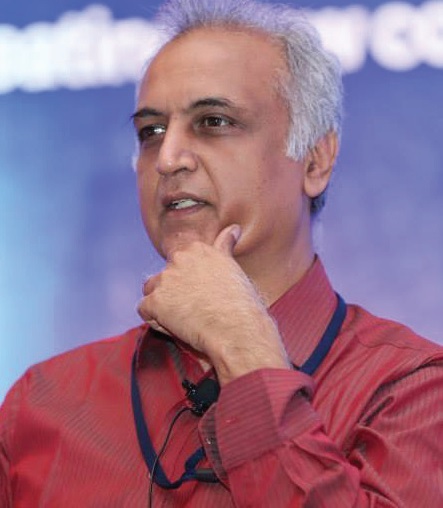 Both are seen benefiting Prime Minister Narendra Modi and his Bharatiya Janata Party (BJP) because Uri is about a heroic strike in Pakistan-controlled territory following a decision by the Modi government while ‘The Accidental Prime Minister’ implies/insinuates that Prime Minister Manmohan Singh was not quite his own man when he held the most powerful position in the land because an Italian-born Congress party president was calling the shots. Things get tricky because of a big question: When does art become propaganda and when does propaganda become art? The answer depends on who you are talking to but common to both are an imaginative building of a narrative. The difference is that when a recent fact is presented in a fictional narrative without independent verification of facts, there is a tendency for unsuspecting, gullible members of the public to take it as fact — and that is the power of imagery and storytelling. Understandably, Congress party workers have been protesting against the screening of ‘The Accidental Prime Minister’ because it is too close for comfort. It is also not surprising that West Bengal chief minister Mamata Banerjee is upset with ‘The Accidental Prime Minister’ based on the account of Singh’s former media advisor Sanjaya Baru. “Look, I am a separate party from the Congress. I came out of the Congress and formed the Trinamool Congress with your blessings. But I think that what is being done is a distortion (or caricature) — and it is wrong,” she is quoted as saying. The dictionary meaning of propaganda is: “information, especially of a biased or misleading nature, used to promote a political cause a point of view. Its synonyms, interestingly, are “information, promotion, advertising, advertisement, publicity, advocacy” — given that sweep, you could call anything mixing facts with shrillness/imagery as propaganda. More important, freedom of the press is ordinarily bound by fact-checks but artistic freedom has no bounds. It is therefore easy to mix fact and fiction in a biopic or docu-drama that is ‘factional’ (pun unintended). The irony could be that Sanjaya Baru, who was supposed to be a spin doctor for Dr. Manmohan Singh, turned out a book that made it to Bollywood in such a way that the former prime minister in question simply refused to give his reaction to the work. Evidently, the spin doctor here bowled a no-ball. Future recruiters of media advisors may need some good lawyers to carefully draft a prospective confidentiality clause to include works of fiction and memoirs. Philosophically, one may ask if Dr. Singh gains in image from the movie as a ‘helpless’ leader or whether his dignity has been lowered by the book and the movie. The movie has been lambasted by serious critics as a shoddy work of art. But then, nothing works like bad art in the noisy business called politics. Be the first to comment on "Political movies that raise incidental questions on art, propaganda, spin doctors and media advisors"